NK66OXH VAUXHALL CORSA 1.4 LIMITED EDITION ECOFLEX 3d 89 BHP - 17,000 miles ! 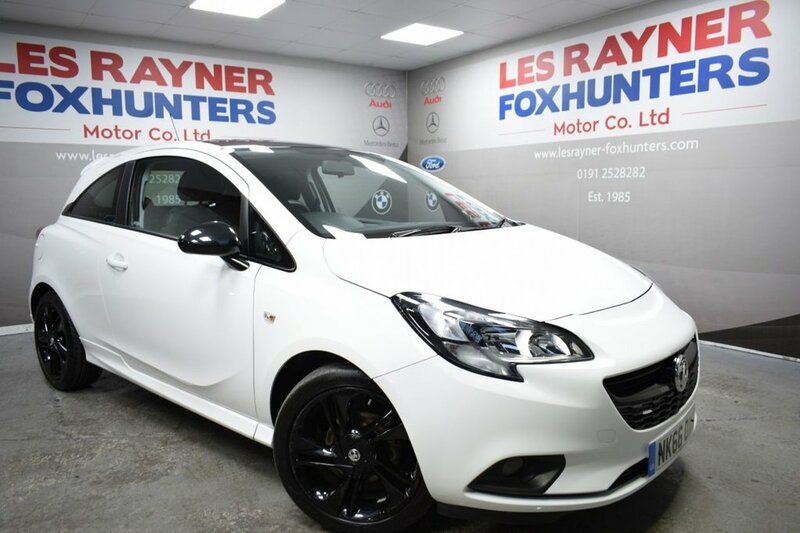 The Corsa boasts a spec of 17" alloy wheels, Bluetooth, cruise control, multifunction steering wheel, DAB radio and FM radio , USB connectivity with projection, Autolights, Air con, Isofix, City Steering, Electric windows and remote central locking ! The 1.4 is a fantastic engine and such a smooth drive. Fantastic Value for money !! Only 30 pound a year road tax . TO VIEW ALL OUR STOCK VISIT www.lesrayner-foxhunters.co.uk We are a family run business that has been established since 1982.All of our cars are HPI clear and come with a 12 month MOT, Full Service and Pre Delivery Inspection so you can buy with confidence. If you would like to view a car a little closer we can organise a 'Facetime' virtual viewing! LOW RATE FINANCE! BESPOKE HIRE PURCHASE, PCP & LEASE PURCHASE PACKAGES! PART EX WELCOME! NO SALES ADMIN FEE!